BookLamp to shine a light on iBook suggestions? Users of Apple's iBooks service could soon be receiving more informed recommendations after it was revealed the firm secretly snapped up the BookLamp start-up earlier this year. According to TechCrunch, Apple paid up to $15 million (around £9m, AU$16) for the company and employees, which offered suggestions through its Book Genome Project, before shuttering this spring. 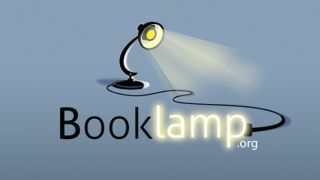 By analysisng the text of other books, BookLamp's tech could determine which books would interest its users, in much the same way as custom radio streaming app Pandora does for music. The firm, based in Boise, Idaho in the United States, shut down in April this year and in doing so thanked its users for taking part in its "journey to date," and claimed its mission was evolving. The acquisition, which Apple has since confirmed, could give Cupertino a boost as it seeks to reel in Amazon's almighty lead in the ebook stakes. According to other reports, Amazon was also in the running for BookLamp earlier this year, but opted to snap up the more established Goodreads service instead.